Four Thai Food Blogs You MUST Follow! 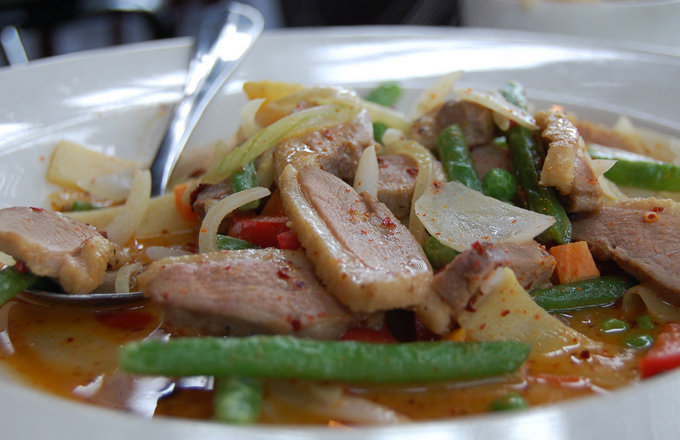 If you eat at Siam Garden in Red Bank, then we know you have an appreciation for authentic Thai cuisine in New Jersey. Those with a taste for the authentic know there is nothing better than the real thing. Take-out places that add “Thai” sections to their menu just can’t match it. So knowing you have an interest in real Thai food, we thought we’d share four of our favorite blogs devoted to this remarkable culinary art form. These exciting blogs will educate you, inform you, and most of all, will get you craving your next Thai meal! Thai Food Master – This blog’s focus is on an area not many American Thai food blogs take: the traditional home kitchen. The author’s specialty is talking about those dishes that not even restaurants in Thailand serve but that remain important to households in Thailand. She Shimmers – You’ll come to She Shimmers for her recipes, but you’ll stay for her deep knowledge of linguistics, Thai history, and more. One of the most informative blogs on the subject, you’ll be sure to bookmark this one. Enjoy Thai Food – With hundreds of colorful pictures of dozens of authentic Thai dishes, often taken right on the streets of Thailand, this blog is a real treat for people who love to look at food almost as much as they love to eat it. Be sure to look at the “Thai Street Food” section, which features the author experimenting with trying an amazing array of dishes. Bangkok Glutton – With plenty of humor and very entertaining rants, this blog author reviews street food, talks about Thai restaurants, and much more. This author is very passionate and it shows! For highlights from these blogs and much more about Thai food in New Jersey and culture, be sure to follow Siam Garden on Facebook!